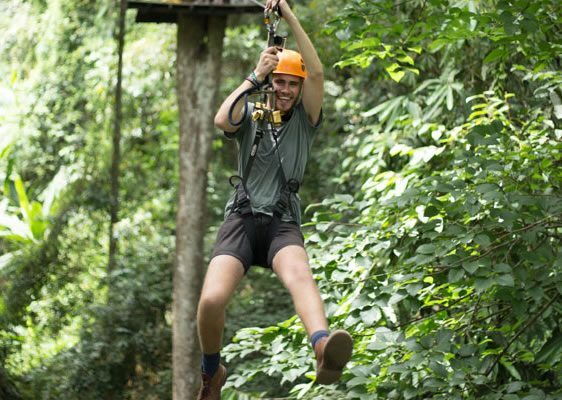 Flight of the Gibbon is so much more than just a Zipline tour, it is a fully immersive and totally unique rainforest experience. Since 2007, Flight of the Gibbon is the original and most trusted Zipline operator in Thailand and Asia. you will be able to enjoy 23 bases from various heights. After the flight take a tram tour of Khao Kheow Open Safari Park where you will see an array of animals including elephants, giraffes, monkeys, rhinos, white lions and more. You can even feed some of the animals by hand. Includes Lunch and English Speaking Guide. 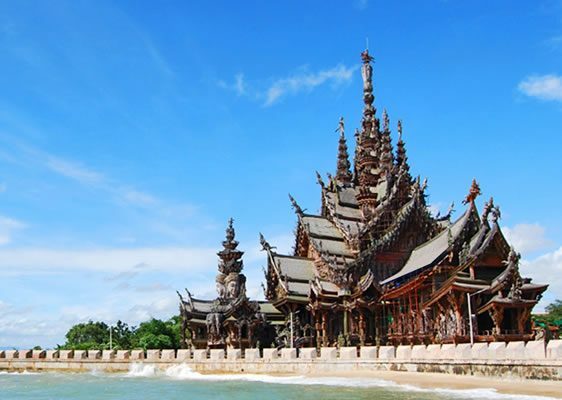 Visit Wat Yansangwararam the most important royal temple in Pattaya. The temple is a mixed of different architectural styles where most Buddhist always pay a visit to the temple. Visit the House of Chinese God is built purely in Chinese style and a museum for the rare Chinese artifacts and antiques. Continue to the Sanctuary of Truth. The amazing wooden building on the beach representing the great Maru Mountain in Indian mythology where all the Hindu gods live. Includes Lunch and English Speaking Guide.